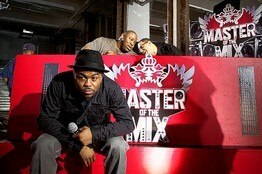 The eight-episode reality series, called “Master of the Mix,” is the latest example of how consumer brands are increasingly taking to the airwaves with bought-and-paid-for content they produce themselves, and it shows how liquor companies are becoming more comfortable with TV, despite some criticism that their presence reaches underage consumers. By making its own content, Diageo is seeking complete control over how its brand is represented. The BET series follows seven disc jockeys competing in music-mixing challenges, with one contestant having his or her “record scratched”—eliminated—at the end of each show.